Drawing courses develop skill in the use of material, techniques, and processes relevant to observational and experimental modes of drawing production. Traditional and contemporary approaches to drawing allow students to engage, through research, production, reflection and analysis, with the relationship between their drawing practice and contemporary culture. Painting develops technical proficiency and critical thinking skills beginning with a focus on observational painting leading to explorations of abstract, non-objective and expanded notions of the medium including non-conventional use of material, surface and process. 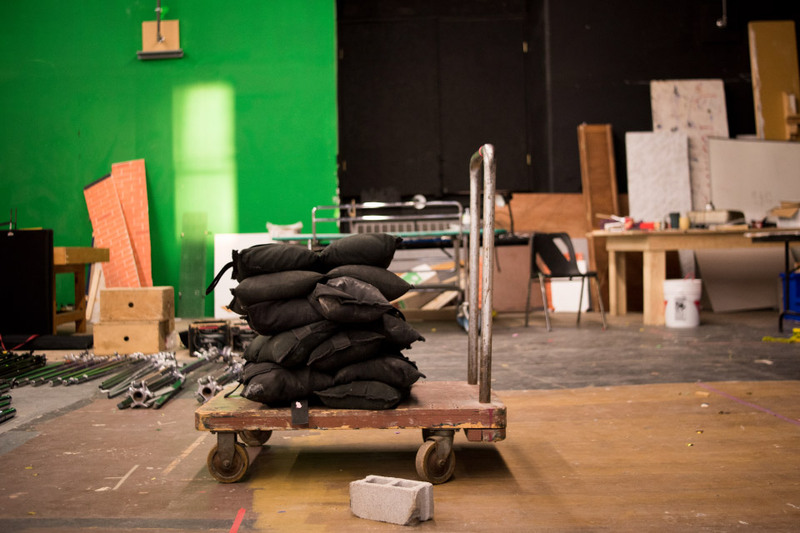 A program goal is to produce well-balanced and versatile graduates whose knowledge allows them to participate in the diverse realm of contemporary artistic culture. 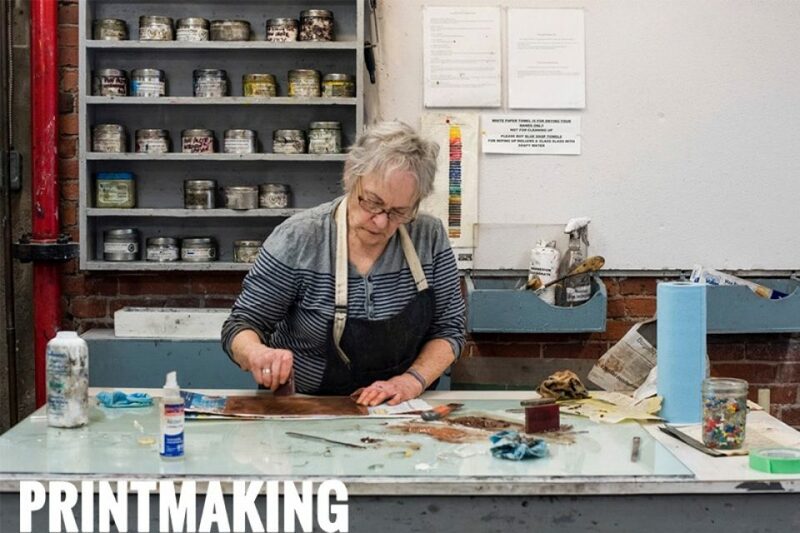 Printmaking provides comprehensive instruction in all areas of print media. Introductory courses emphasize traditional practices in lithography, screen-printing, intaglio, and relief, while senior courses will challenge you to pursue disciplined studies integrating formal, theoretical, and more advanced technical knowledge—including digital media. 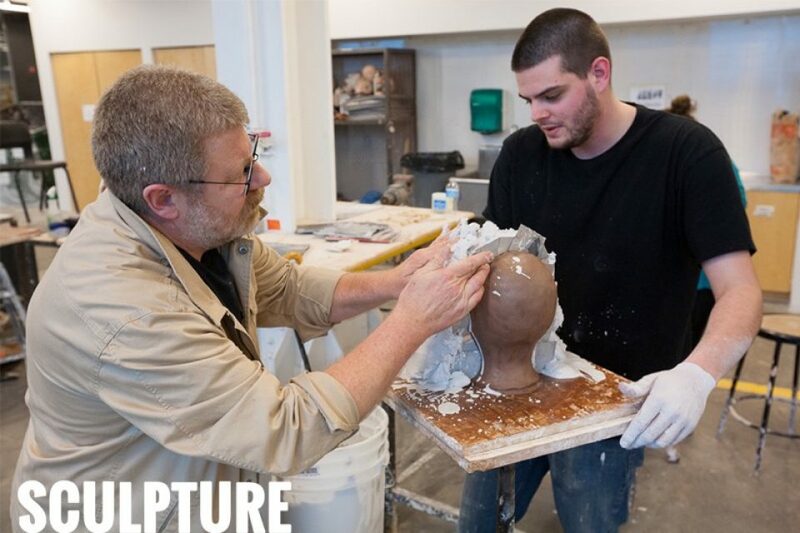 Sculpture students learn to articulate experience through the material world. With a strong emphasis on skill development, you will take workshops in stone, metal, and plastics. 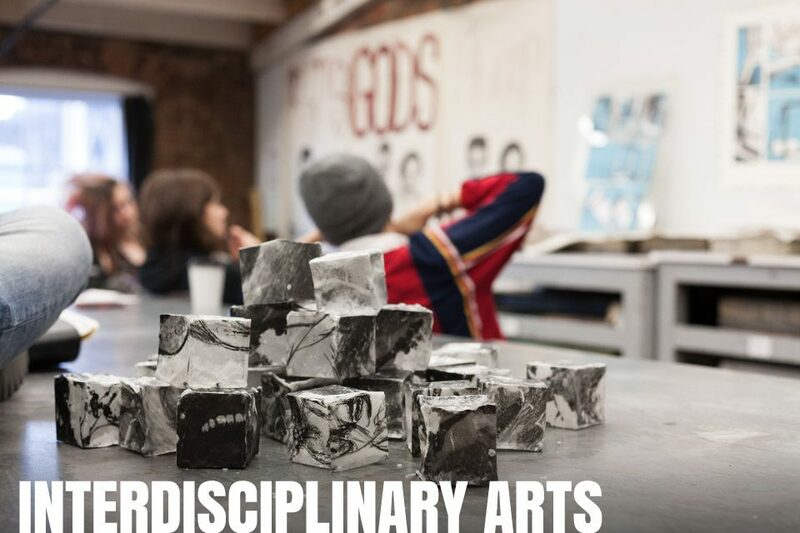 The Interdisciplinary Arts major allows you to explore a diverse range of visual arts interests from an interdisciplinary approach during studio classes, such as Language into Art, Idea and Process, and Media Landscapes. These courses are also designed to provide senior level students with the opportunity for independent study and intern placements. The Fine Arts Division is known for its rich history and connection with the Canadian contemporary art scene. Many of our graduates show their work nationally and internationally and receive prestigious grants and awards. 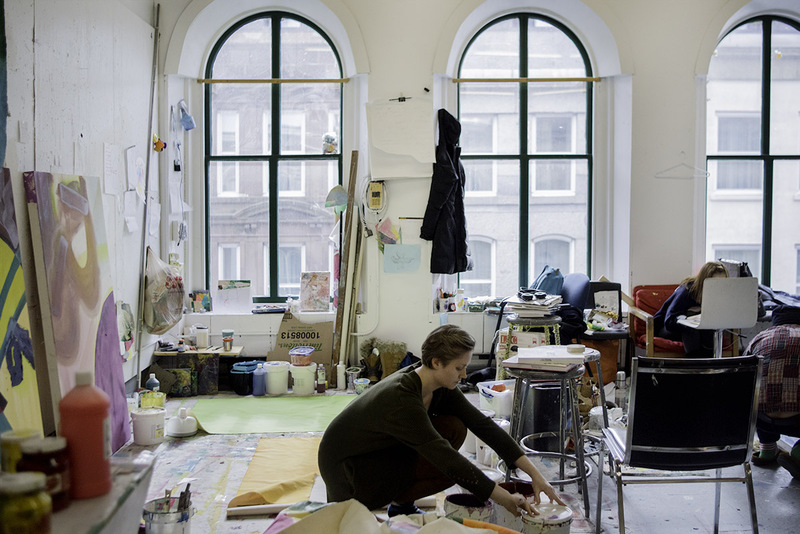 The Fine Arts Division gives students the unique opportunity to specialize in a selected area while also exploring other fine art disciplines. 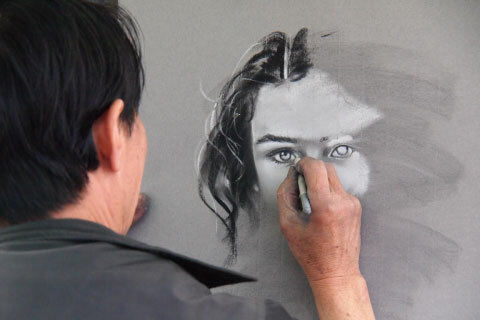 For example, though painting may be your focus, you will still receive extensive training in the media and practices of sculpture, drawing, and printmaking. 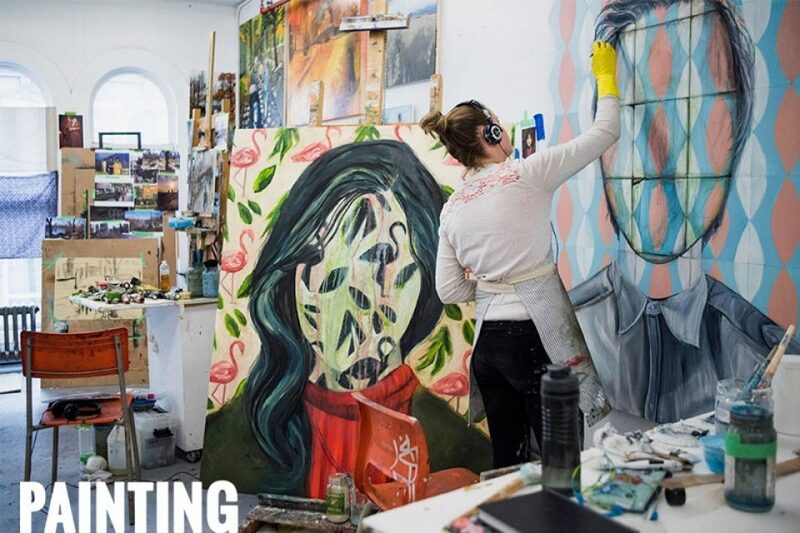 Continuing to discover new art forms—even after choosing an area of specialization—is the cornerstone of Fine Arts at NSCAD. 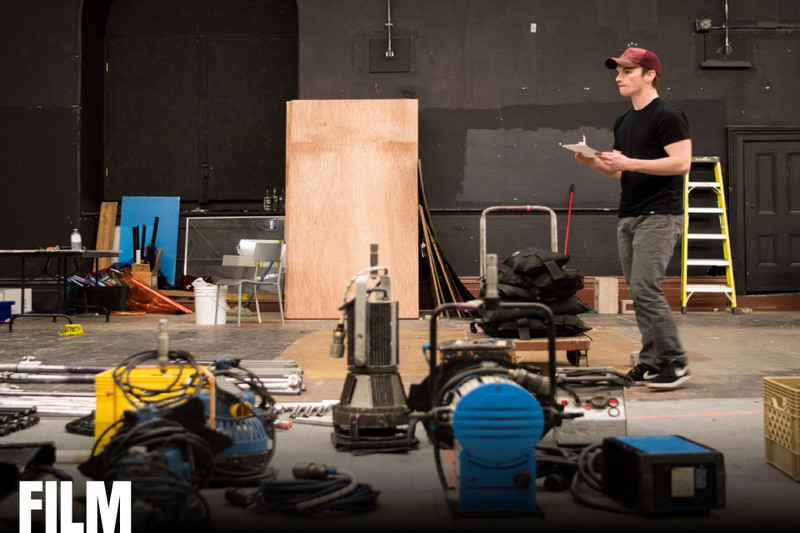 As a Fine Arts student, you will learn how to manipulate a broad range of materials, articulate an awareness of the historical and conceptual roots of your work, take creative risks, and overcome artistic challenges. These are necessary skills for any successful artist to possess. And they are also equally valuable for entrepreneurs, curators, gallery administrators, scholars, and writers—careers many students choose to pursue after graduation. The Fine Arts division is known for it’s powerful history and connection with the Canadian contemporary art scene. Many of our graduates show their work nationally and internationally and receive prestigious grants and awards. Mathew Reichertz holds a BFA from Concordia University and an MFA from NSCAD University. He has exhibited his paintings in solo and group exhibitions across Canada, including Sir Wilfred Grenfell College Art Gallery, the Khyber Centre for the Arts, Ciparis/Lennox Gallery, Beaverbrook Art Gallery, and Galerie Action Art Actual. In 2006, Reichertz was shortlisted for the Sobey Art Award. He has also received creation and presentation grants from the province of Nova Scotia and is included in a variety of institutional collections. Mark Bovey holds a BFA and a BEd from Queen’s University and an MVA, Printmaking from the University of Alberta. His work examines the world through the lens of printed histories and through the many forms of expression the medium offers, from the directness of a carved relief block to the refined output of the computer matrix. 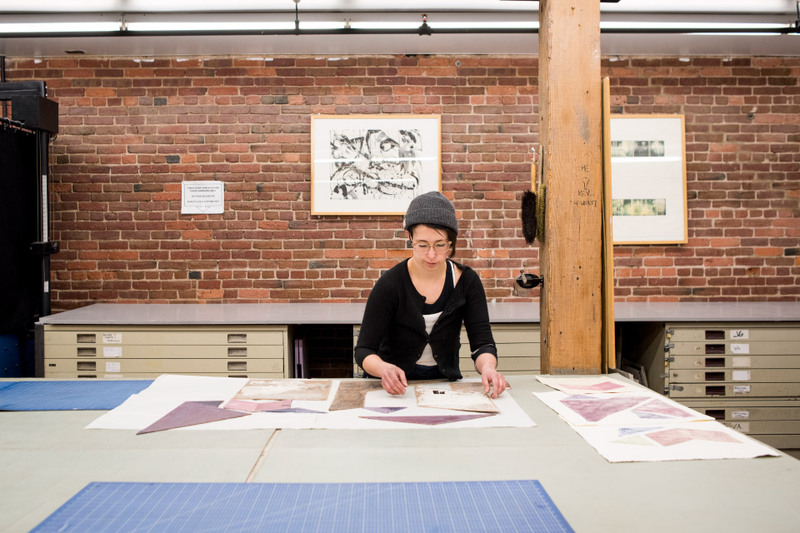 Bovey has received awards and grants from the Nova Scotia Arts Council, the Windsor Printmakers Forum, and the Kochi International Triennial Print Exhibition. His work can be found in public collections both nationally and internationally. Thierry Delva earned an MFA with a Major in Sculpture from NSCAD University. He has exhibited widely in Canada and the US, including at the Art Gallery of Nova Scotia, the National Gallery of Canada, the Art Gallery of Windsor, RAW, and the Bass Museum of Art. His work is included in the public collections of the Art Gallery of Nova Scotia, the National Gallery of Canada, and the Art Bank of Nova Scotia. 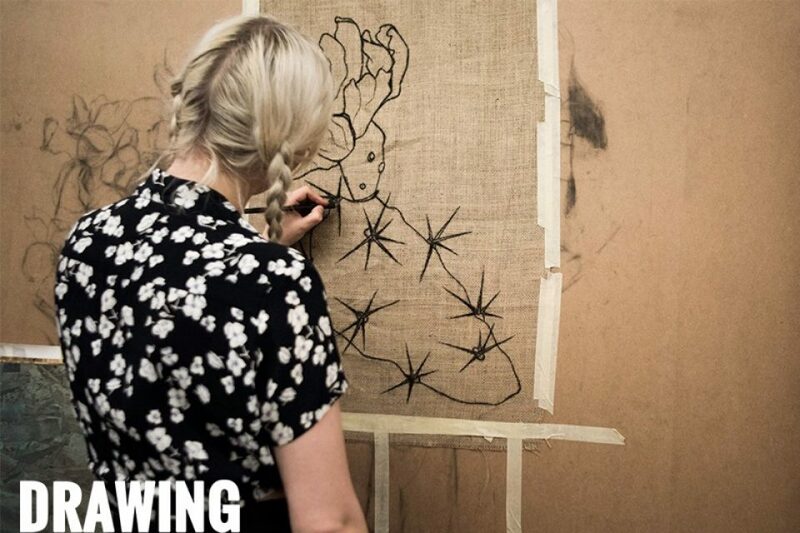 Alex Livingston holds a BFA from NSCAD University and an MA in Fine Art from the Chelsea College of Art and Design. He has exhibited his paintings in numerous solo and group exhibitions in public and commercial galleries across Canada. He has also participated in exhibitions in England, South Korea, and the United States. Livingston’s work can be found in private, corporate, and public collections. Erica Mendritzki is an interdisciplinary artist with a practice grounded in painting and drawing. Thematically, her current work deals with embarrassment, bodily strangeness, communication problems, and power. She holds a BFA from Concordia University and an MFA from the University of Guelph. Her work has been exhibited nationally and internationally, most recently at Platforms Project in Athens, Greece, at G Gallery in Toronto, and at La Maison des artistes visuels francophones in Winnipeg. She is a member of the Board of Directors of Border Crossings magazine. Kim Morgan is a sculptor/installation artist whose practice incorporates techniques, materials, and technologies from a wide range of disciplines. She holds a BA from McGill University, a BFA from the School of Visual Arts, and an MFA from the University of Regina. Her main theoretical interests are spatial relationships and phenomenology. Morgan’s recent work involves the creation of interdisciplinary public art projects in collaboration with engineers and scientists, exploring the impact of technology on people’s perceptions of time and space, and the shifting boundaries between the private and the public. David B. Smith, SMVisS Massachusetts Institute of Technology ’97 and BFA Nova Scotia College of Art and Design ’92, has pursued a diverse career as both a sculptural practitioner and researcher. Beginning with a creative practice that was largely comprised of sculptural installations centered on issues of commemoration, he later shifted his focus to research in the creative process itself. To this end, Smith is currently the Program Director and Principal Investigator of a longitudinal cohort study in Western Cape, South Africa, examining the efficacy of creative thinking applied to academic disciplines outside of the arts – Art in Schools Initiative, begun in 2011. 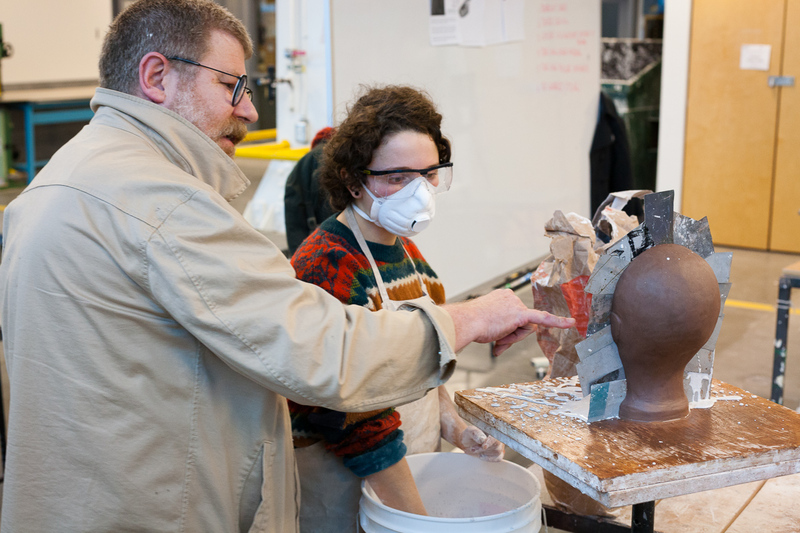 Professor Smith teaches core Sculpture courses (typically Introductory and Advanced Sculpture), selected material and methods-based sculptural workshops, and graduate level courses in Art Education. Ericka Walker holds a BSc from the University of Wisconsin-Madison and an MFA from the University of Tennessee, Knoxville. Her current body of work is driven by her research into lithographic propaganda posters. Walker’s past work has been included in national and international exhibitions and exchanges, most recently the 2011 Sanbao International Biennial Printmaking Exhibition in Jingdezhen, China; Ink, Paper, Process: An Exhibition of Contemporary Prints in America at the Dishman Art Museum in Beaumont, Texas; and the 2010 Pacific States Biennial Print Exhibition at the University of Hawai’i.